A powerful and beautifully illustrated story about migration and the meaning of home. 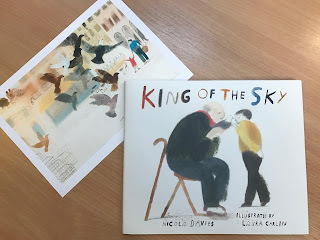 King of the Sky is a breathtaking new picture book by children's author Nicola Davies, illustrated by Laura Carlin, winner of the Bratislava Illustration Biennale and the Bologna Ragazzi Prize for Illustration. Starting a new life in a new country, a young boy feels lost and alone – until he meets an old man who keeps racing pigeons. Together they pin their hopes on a race across Europe and the special bird they believe can win it: King of the Sky. We’re excited to welcome Nicola to the Picture Book Party blog for a behind-the-scenes on the inspiration behind King of the Sky. As we were putting together A First Book of Nature the illustrator Mark Hearld asked me to write a poem about pigeons. At the time, I'd just moved to a house with a view of an old Victorian hospital. All day pigeons would strut and play on the roof top, pirouetting like weathercocks. So the poem came easily. I read about pigeons; wild ones, domestic ones, message carrying ones, racing ones. I watched videos of tough northern blokes cuddling their racing birds with heart-breaking tenderness. I read how they navigate - learning the shapes of their local landscape by that characteristic flying in circles thing they do; recognising the smells of home, so that downwind they can follow the scents to their loft. Something else got in with the biological information in my head - belonging and what happens when you have to change where you live and make a new home. All of it sloshed around in my mind until one night I heard a song written about the real Sheffield racing pigeon “The King of Rome” that won a race to the North all the way from Italy. Another component of the story fell into place. The final piece of the jigsaw was the setting. I wanted a displaced people and found what I needed when I remembered my mum’s stories about sitting in the Italian ice cream parlour in Gowerton. Italian families had come to Wales in the 20s and had found a culture like their own, centred on family, where singing and high emotion were both valued. So I wrote a story set on my own doorstep, and connected with my own family history in South Wales. I read it aloud at a conference and two wonderful things happened: someone came and told me that I’d described the story of their family and another said: “All my adult life I’ve thought my background in the valleys was something I had to get away from. You’ve shown me it’s my best material.” That’s when I realised that this little story about a boy and a bird had done what I wanted, and told a bigger more universal story about belonging, and what that means. I worked with Pontadawe Arts Centre and director Derek Cobley to make King of the Sky into a theatre production - a musical in fact - that played at the Hay festival in 2015 and 16 and toured in South Wales. 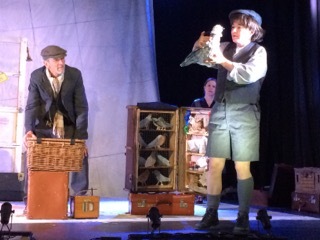 It was great to see the story spoke to audiences of all ages. Grown-ups cried, children cheered when the pigeon made it home, people went out singing the songs. I hope when they read the book they’ll carry the words in their hearts in the same way. 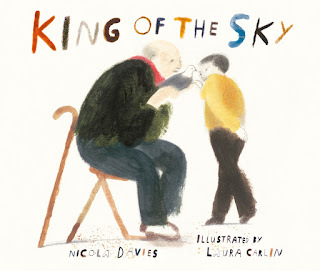 In the new book King of the Sky, what kind of bird does the old man keep? To enter, just email competitions@walker.co.uk with 'King of the Sky' in the subject line before 9th June 2017. Terms and conditions apply. Join in the fun and download these free King of the Sky activity sheets and pick up a copy of King of the Sky at your local bookshop. 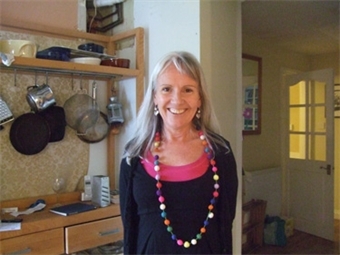 Nicola Davies is an award-winning author, whose many books for children include A First Book of Nature, Ice Bear, Big Blue Whale, Dolphin Baby, Bat Loves the Night and the Silver Street Farm series. She graduated in zoology, studied whales and bats and then worked for the BBC Natural History Unit. Nicola lives in Crickhowell, Wales. Visit Nicola as www.nicola-davies.com. Laura Carlin is a graduate of the Royal College of Art and the winner of several awards, including the V&A Book Illustration Award. 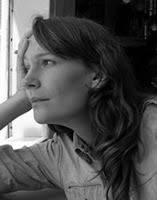 Her work has featured in Vogue, the Guardian and The New York Times; her previous books for Walker include The Promise by Nicola Davies and The Iron Man by Ted Hughes. See Laura's work at lauracarlin.blogspot.co.uk.